Micro-needling stimulates collagen creation in the skin and help tighten and lift the skin. It helps in reducing fine wrinkles, stretchmarks, fine lines around the lips, superficial pigmentation, skin pores, surgical scars, and acne scars. Micro-needling causes controlled minimal damage to the skin by penetrating the deeper layer of the skin. This micro injuries stimulate the immune system to re-grow and repair the skin naturally. The freshly produced collagen will rejuvenate your skin by filling in fine lines, resulting in an overall improvement in the texture and tightness of your skin. 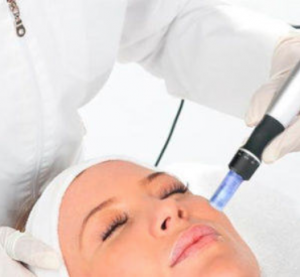 Micro-needling is just as effective as ablative treatments such as Fraxel, IPL, Laser Resurfacing, and Chemical Peels. It is a safe, effective treatment and it has very few side effects. 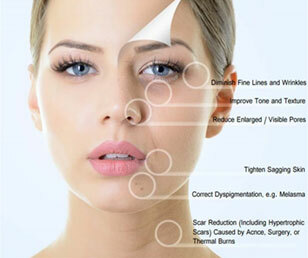 Additionally, Micro-needling is not restricted to the face. It can be used on many other body parts, such as arms, legs, neck, back, hands and abdomen. On average it takes about 2-4 days for the skin to go back to normal and few weeks to see the results. Micro-needling results will vary depending on many factors and it is recommended that patients receive 4-8 treatments, depending on skin condition and age.